Fiona and Peter’s love story begins in college. They were both studying Engineering at the University of Michigan. Fiona says they were in the library A LOT studying for long hours & late nights. After noticing one another on several different occasions Peter finally asked her to dinner. About three years after that fateful night in the University of Michigan library, Peter and Fiona got engaged! 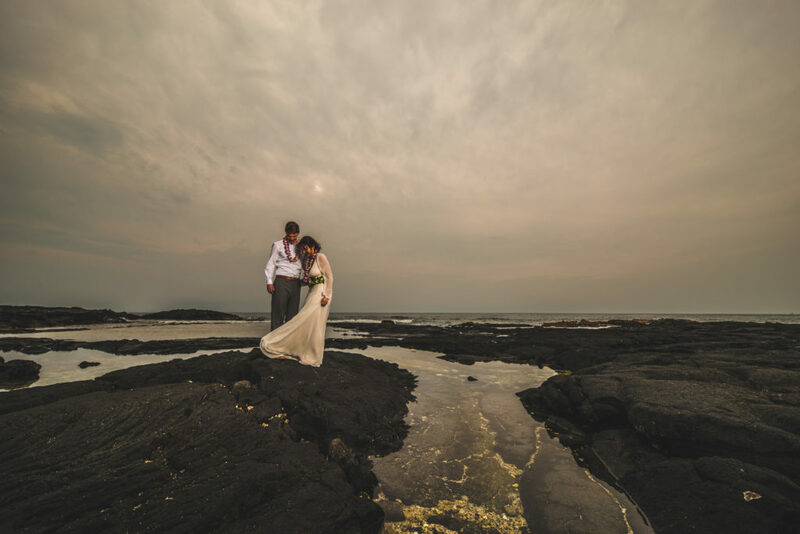 They knew from the beginning that a huge, traditional wedding was not going to be their thing. Fiona was stressed out by the thought of coordinating flowers, tablecloths, and seating charts. They both wanted their day to be private and really focused on the heart of marriage: commitment. So, they got to Googling and quickly found us, Simply Eloped. It was fate again! 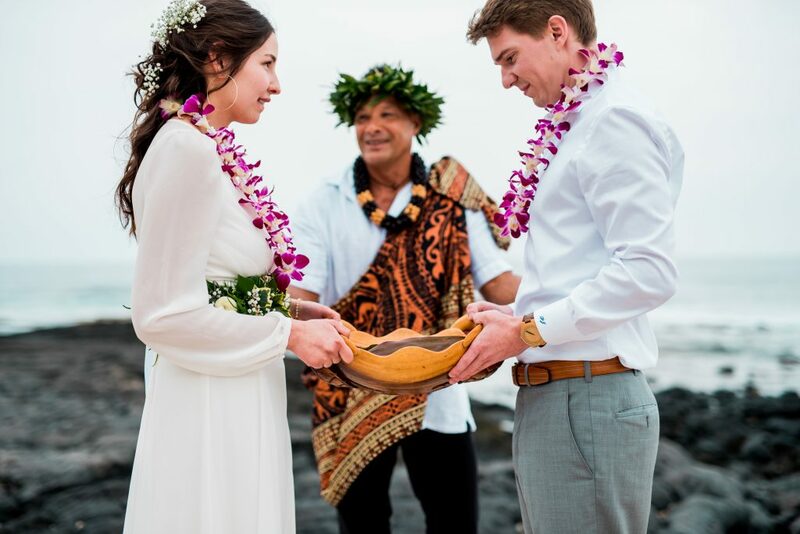 The two decided to hop on over to the Big Island for their ceremony. They both had never been but the found sandy beaches, hiking and scuba diving very appealing. 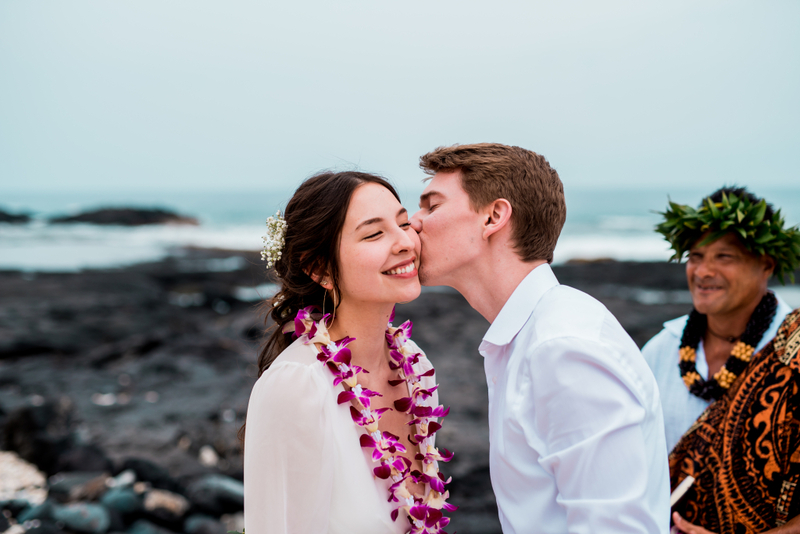 Before their big day they had the chance to go soak up a lot of magic that Hawaii has to offer. They went scuba diving with manta rays, hiked around Mauna Kea (the highest point in Hawaii), and drove a camper van on the Road to Hana. Fiona said the 600 hairpin turns and 40 one way bridges in the giant vehicle was definitely an adventure! Talk about an amazing experience! 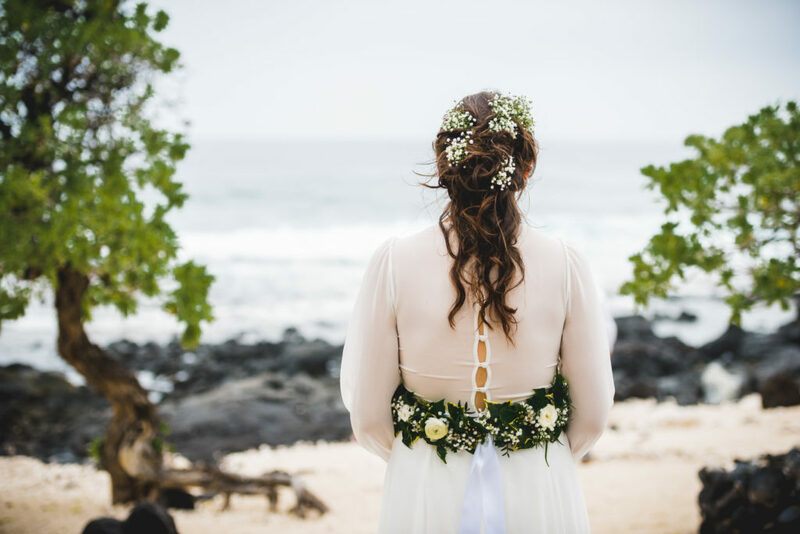 Fiona wore a lovely long sleeved white dress with a gorgeous belt of greenery and flowers in her hair. Peter wore a nice white collared shirt and dress pants. They both had purple orchid leis dangling from their necks. The two were stunningly casual in true Hawaiian fashion. 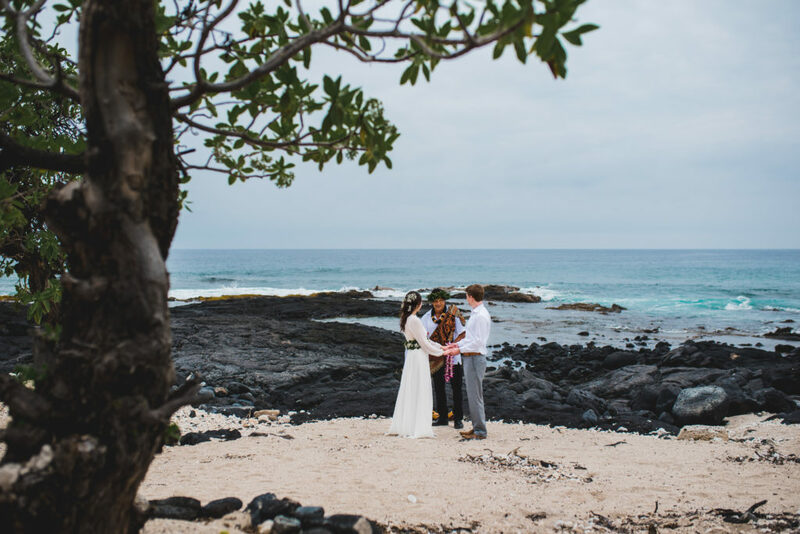 They were able to exchange vows in private with no onlookers or gawkers. Fiona tried to hold back tears between giggles and an enormous smile on her face while Peter said his vows. Fiona says she remembers feeling very free and that she had no obligations but to just enjoy it all. 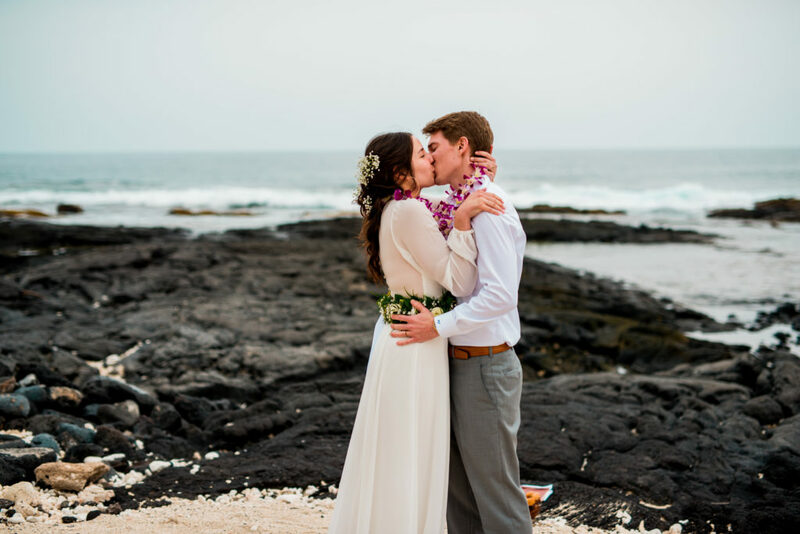 The two of them finished up their Hawaiian elopement eating lots of fresh fish and ice cream. They relaxed to the sound of rain on their hotel roof and dreamt up the future. We sure are glad that Peter was open minded about your biggest and boldest idea yet. 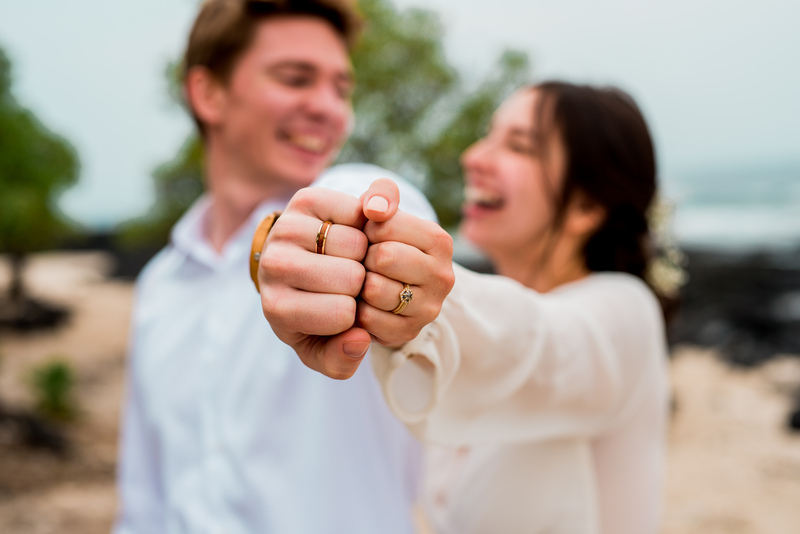 We hope the rest of your lives are filled with the same lust for adventure and love for each other. Congratulations to them both! 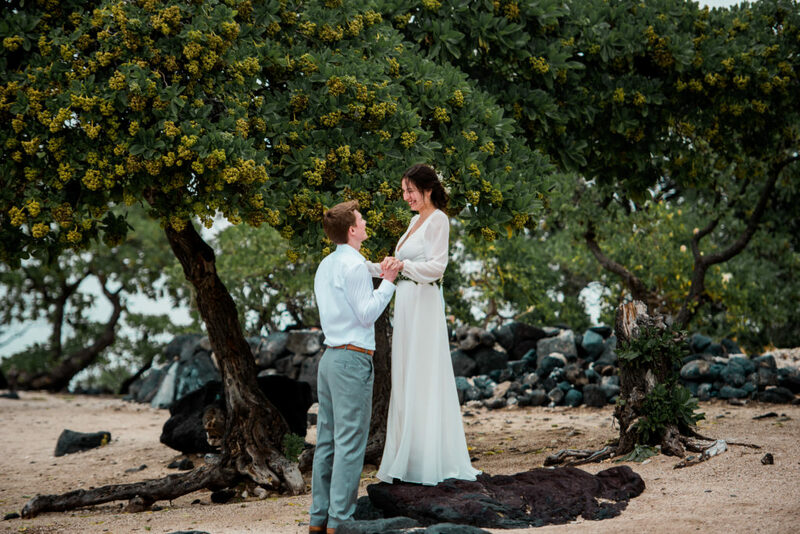 All photos by Alex Klarc for Simply Eloped.